CrossOver can run many different Windows applications. Use this database to find out if your favorite software works under CrossOver. Many Windows titles can be installed using our CrossTie technology. If you have CrossOver installed, and have the installer for your Windows software, simply click the button in our Compatibility Database, and CrossOver will automatically install your application for you! 1,338 gold medal applications in database. 1,154 1-click install via CrossTie applications in database. 487,841 total CrossTie downloads to date. Wizard101 is the top downloaded CrossTie with 91,593 downloads. Star Wars: The Old Republic is the top voted application with 319 votes. 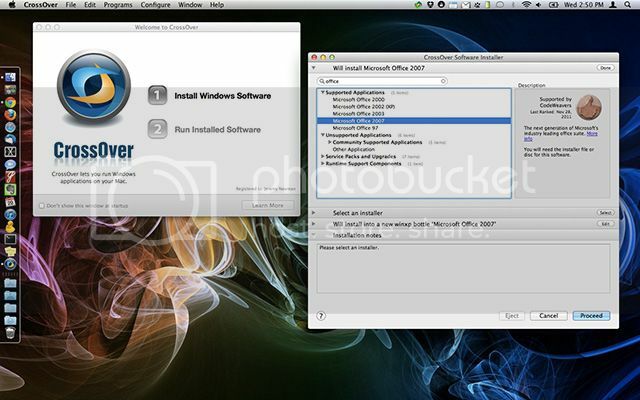 Fixed a bug where automatic updates via Sparkle would fail for some users on Mac OS X 10.6.8 Snow Leopard. Next story Things 2.1.1 – Elegant personal task management. Previous story XnRetro 1.24 – With XnRetro you can easily turn your photos into instant/vintage images. Metadatics 1.5 – Powerful audio metadata editor. BlueHarvest 7.0.3 – Disable DS_Store creation and more. Folder Tidy 2.6 – Tidy up any folder with one click.